There was a vision for the vacant site where the former old gold mill was located. What if a new kind of suburbia would grow in this space? Would it be possible to create a community that will sustain personal, economic and environmental health? There is a growing understanding across the nation that “sprawling” development patterns are not in the best interests of our nation and its people. Typical suburb infrastructure creates social isolation and auto dependency, forcing residents to spend far too much of their lives sitting in a car. Worse, these developments are built upon, and expand into, precious open land and wilderness. With our land – so rich in history and the dream of pioneers-Gold Hill Mesa was not content to be just another development. 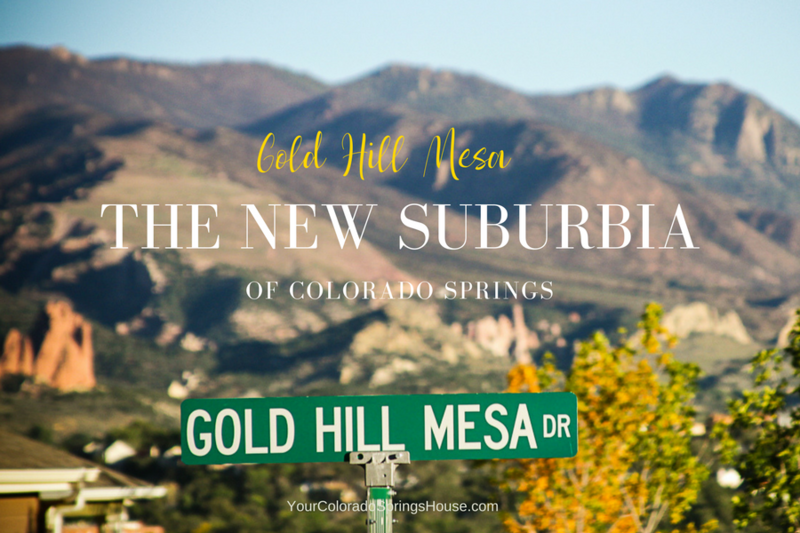 Instead, their vision for Gold Hill Mesa is to be a timeless alternative to life in the conventional suburbs and utilize the European concept of life – focusing on community and engagement. The developer set out to create a place where community thrives by using Traditional Neighborhood Design concepts such as: Pedestrian-friendly streets, plenty of green space, and walkable access to local activities, recreation, restaurants, offices, and shops. The design emphasizes the importance of people vs the importance of cars. This developer put the cars and garages in the back of the buildings so that people can be out front, interacting with each other. Most homes have functional, raised front porches so that they can really enjoy engaging with passersby. How is it working out? The neighborhood is building up quickly and the developer’s goal for a strong community is coming to fruition: Lots of people walking, exercising and talking with each other. Neighbors actually know each other by name. The colors in the subdivision are vibrant and happy, lots of green space invites for community interaction. In general, the atmosphere is strong and this new ‘urbia’ concept seems to be the right way of life for many. New construction homes that are listed are sold quickly, existing homes that are listed are sold in near record time and price*. *considering that the home is staged properly and priced right. Like to know more? Give me a call at 719.219.9739 or contact me here.